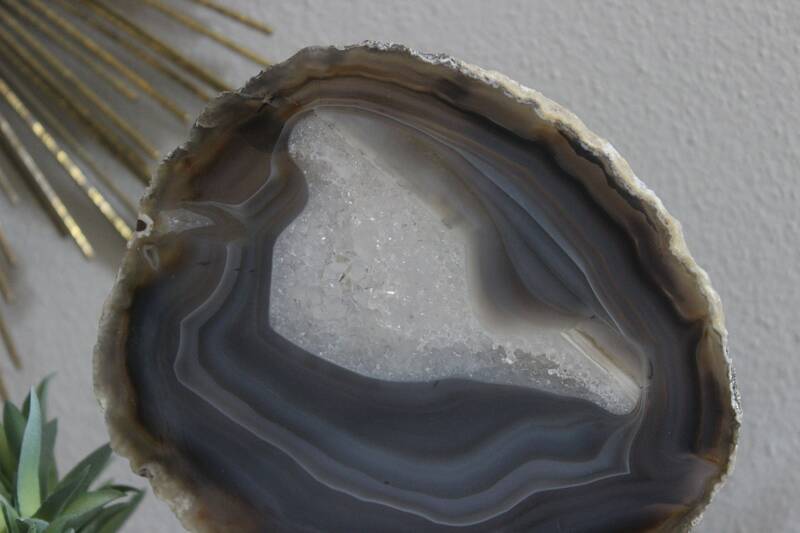 You will receive the agate slice shown as well as the acrylic slab vertical support. 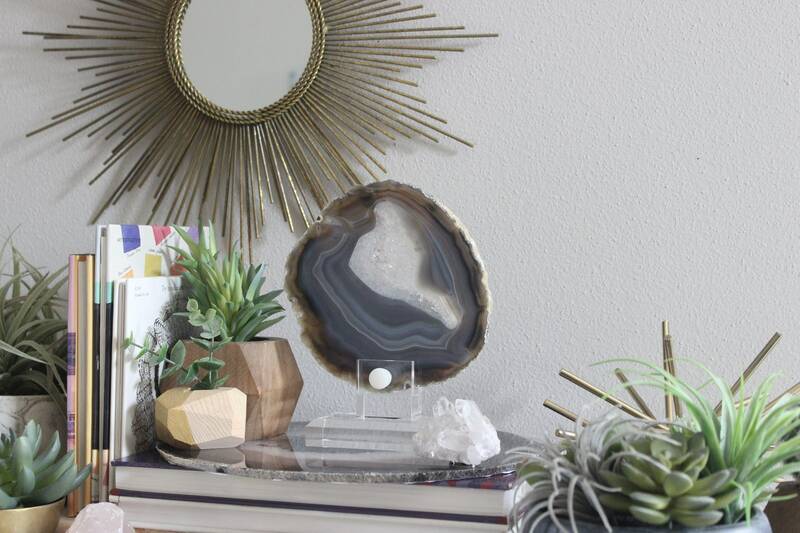 Offered is a hand selected, premium agate from our private curated collection. 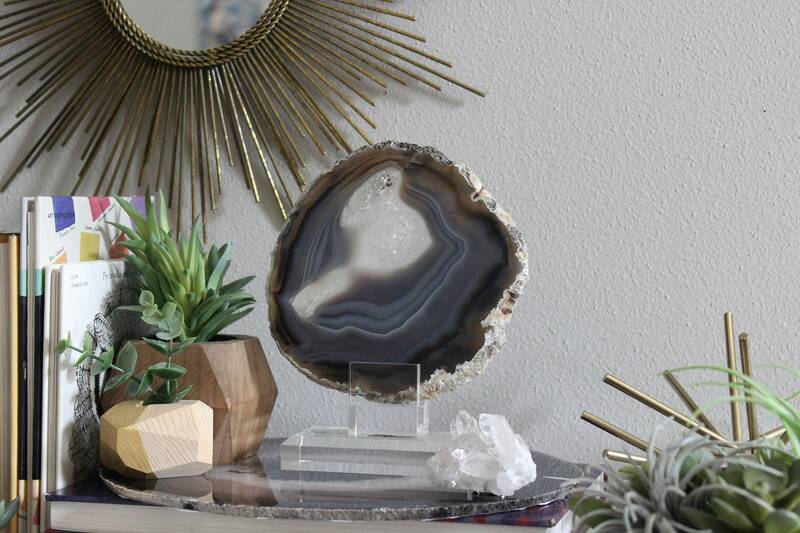 Each extra quality agate is selected for it's unique characteristics which include substantial banding/variegation, quartz and/or druzy inclusions, striations and/or geode centers. 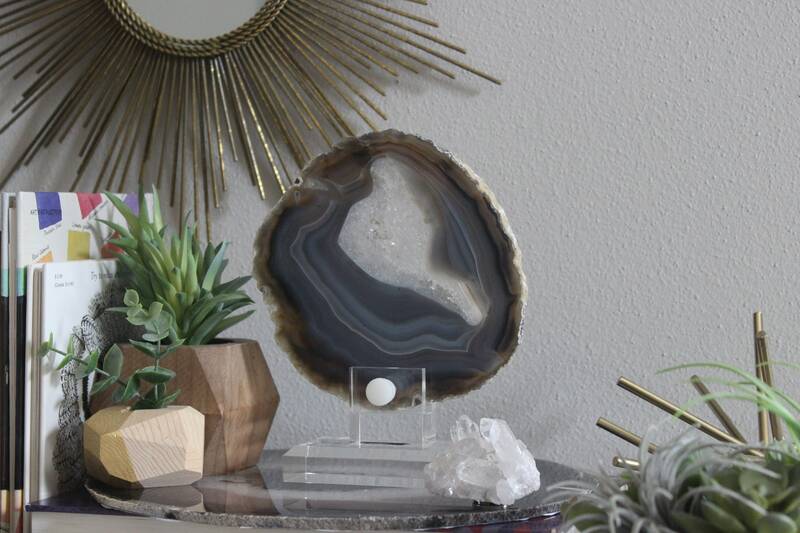 ▪agate slice measures approximately 5-1/2" wide by 5-1/2" high by 1/4" thick; height with stand is 6-3/4"
▪If you love these, then you will surely adore our exclusive agate wall and desk clocks as well as our signature boho agate tassels! 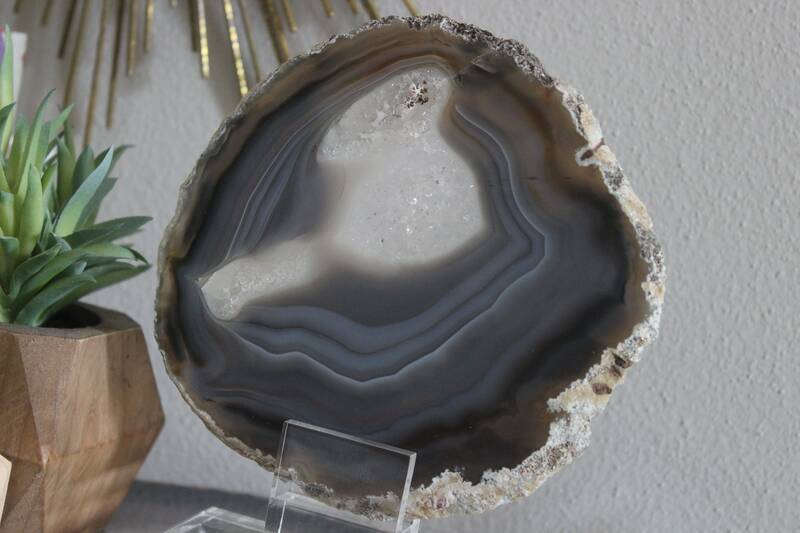 #jewelryforyourhome Also if you are local to southeastern WI, please come see our items in There's No Place Like Home boutique and/or Brown Street Emporium, an artisan/handmade mall! 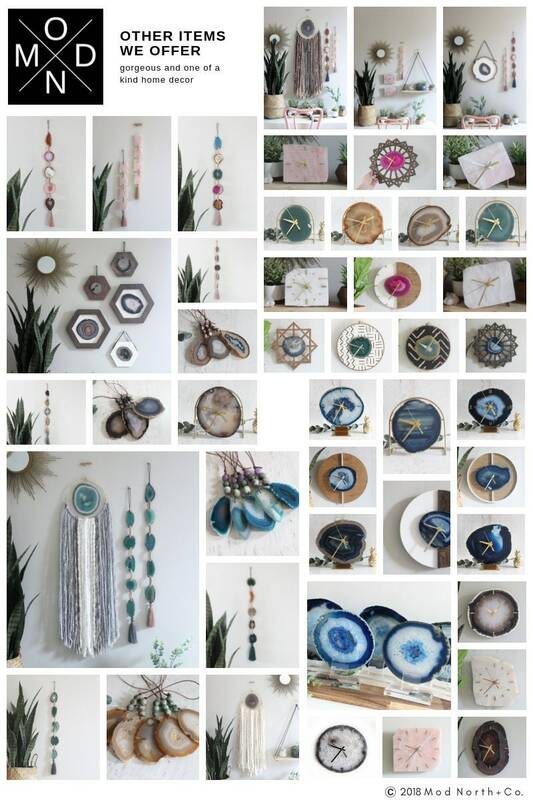 Lots of fabulous goodies!! 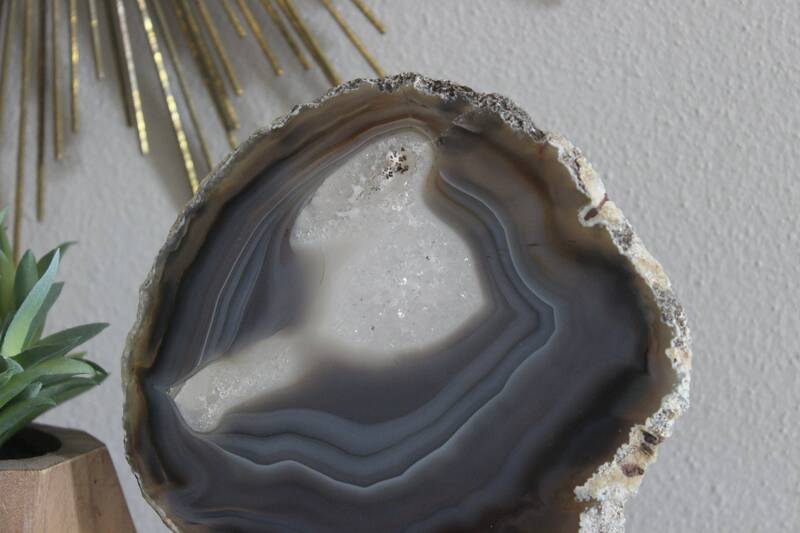 Oconomowoc is quickly becoming the choice destination for small shops featuring local talent!! 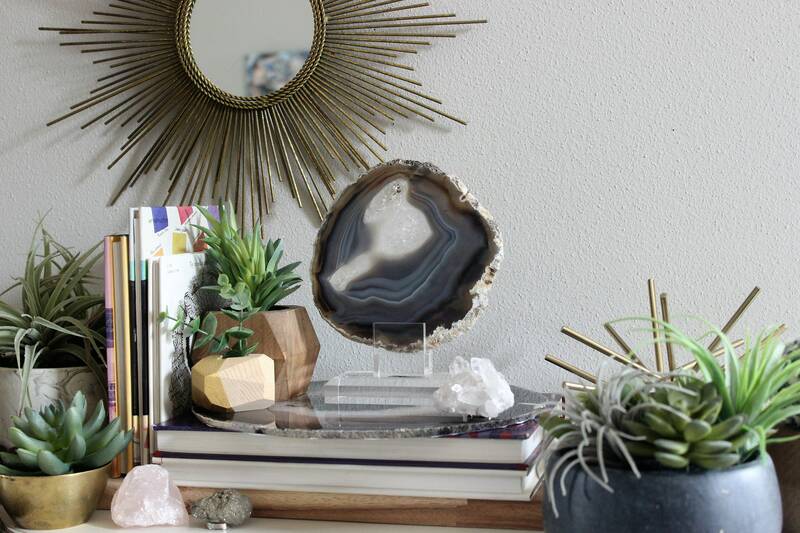 To win a $75 shop credit, please subscribe with your email address on our website! !